We take our homemade spaghetti sauce directly from the pot into the jar and then refrigerate for the ultimate in fresh homemade taste. This sauce is fresh and must be kept refrigerated. We take our homemade spaghetti sauce and add a full half pound of our famous freshly cooked sausage crumbles for a delicious combination. This sauce is fresh and must be kept refrigerated. 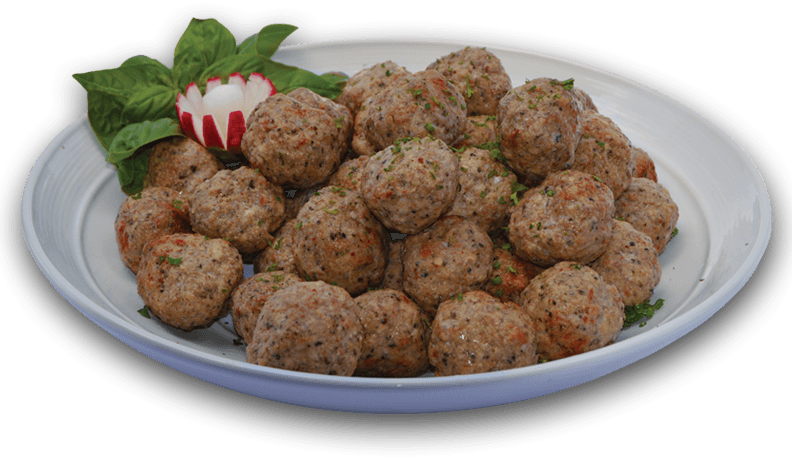 We take our spaghetti sauce and add FIVE of our fully cooked homemade meatballs for a delicious combination. This sauce is fresh and must be kept refrigerated. 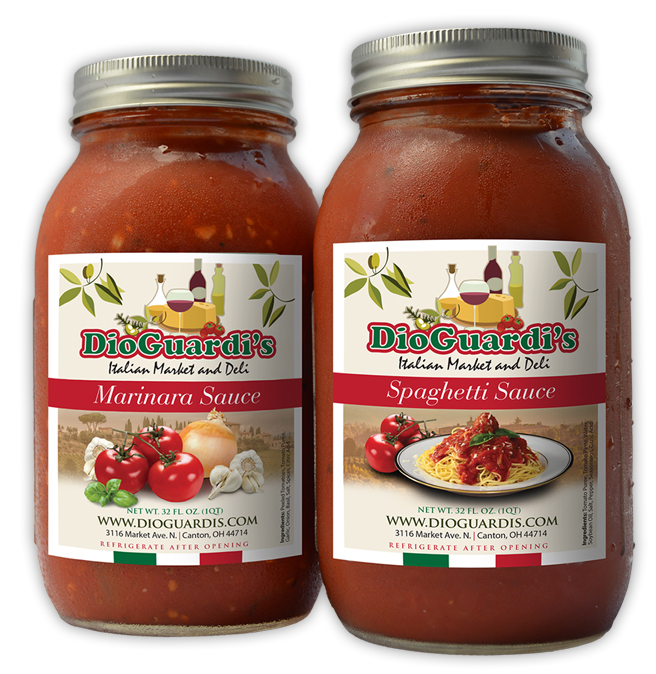 We hand crush whole Italian peeled tomatoes then add fresh garlic, onions and seasoning using the same recipe MAMA DioGuardi brought from Greci, Italy. Made Fresh Daily in Small Batches using the finest tomato products available, and our over 100 year old Italian Recipe, slow simmered for four and half hours. 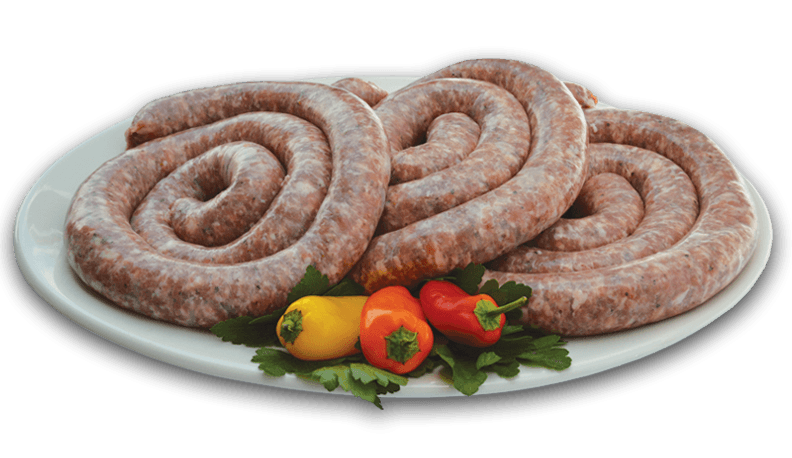 Made with the freshest extra lean all Ohio Pork and our secret blend of spices. Made daily in small 30lb. 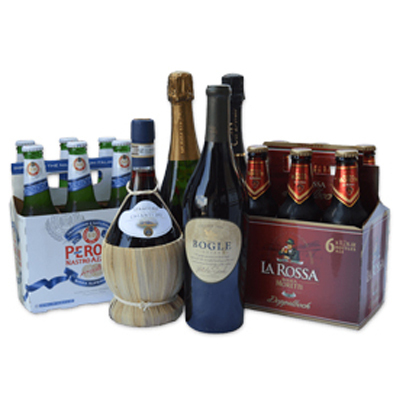 batches to ensure the highest quality. 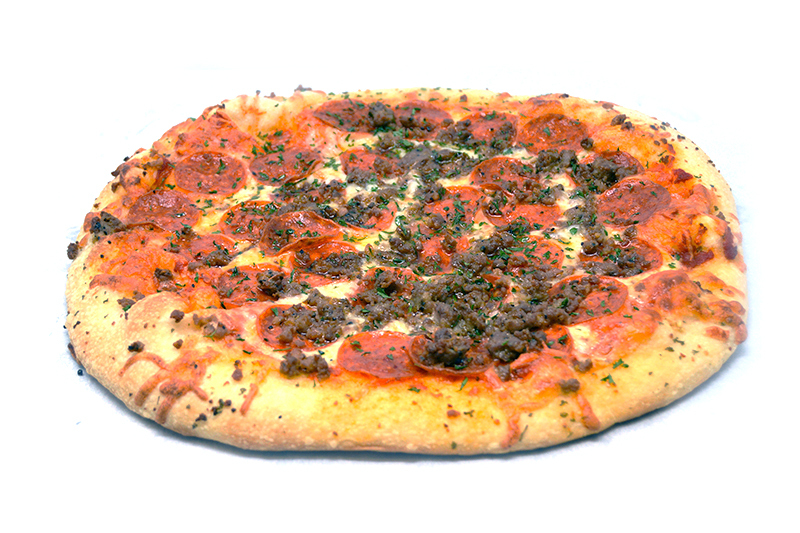 Made with the freshest Pork and lean ground beef blended with our secret blend of spices and Pecorino Romano Cheese. 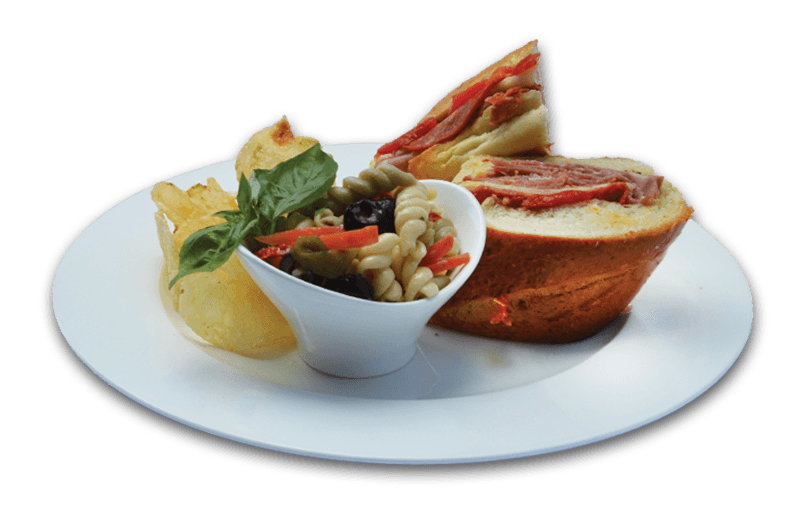 Fresh baked roll created specifically for DioGuardi’s from Hazel & Rye Bakery filled with Premium Mortadella, Cappicola, Genoa Salami, Pepperoni and Provolone Cheese topped with our Home Made Sub Dressing and Roasted Red Peppers….Delizioso!!! 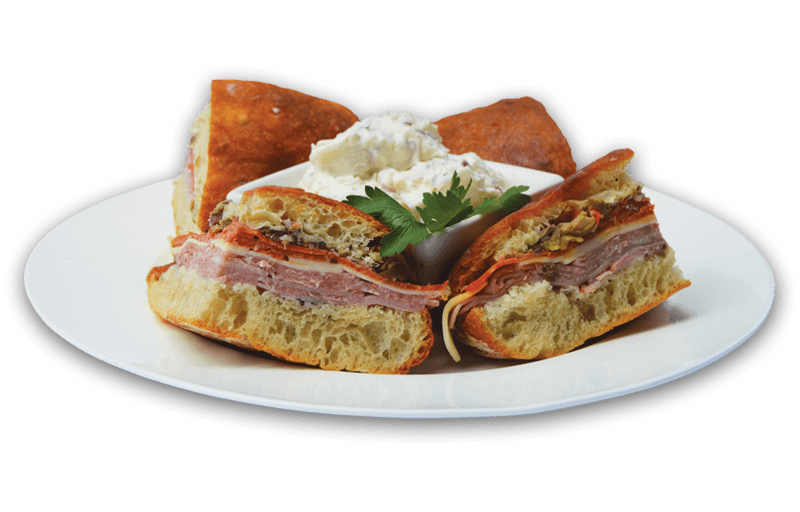 Fresh baked Ciabatta roll topped with Muffuletta Olive Spread (A mixture of green and blck olives with vegetables blended together in oil, red wine vinegar and spices) Then we fill it with Premium Cappicola, Pepperoni, Ham, Genoa Salami and Swiss Cheese. Awsome!!! After a hard day’s work, you’d love to prepare or at least sit down to a decent home cooked meal. No time? No problem. 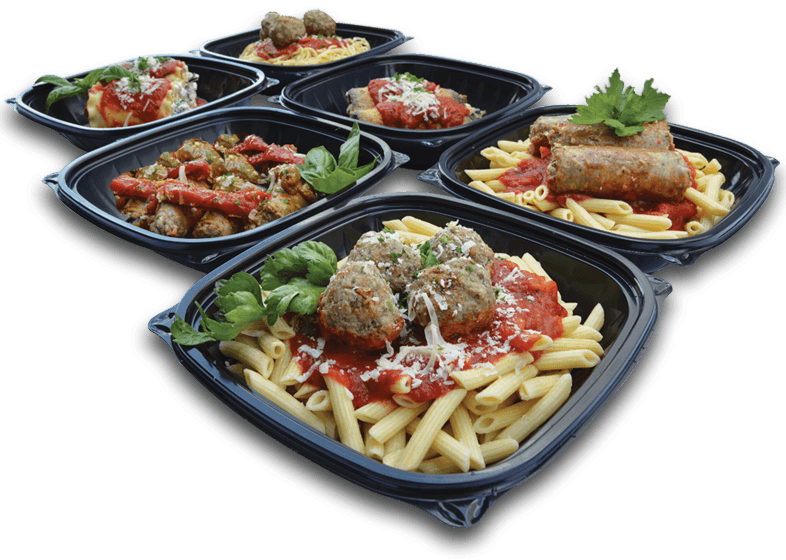 We’ve got freshly made entrees to go, like lasagna roll ups, pasta and homemade meatballs topped with our homemade spaghetti or marinara sauce, or our homemade sausage and peppers. We make it every day. It’s not fast food. It’s fresh food, from our kitchen to yours. Because the best food is never rushed. 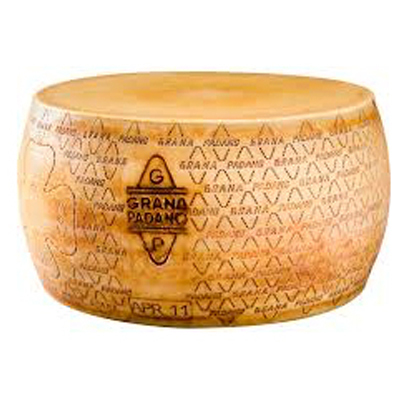 Prosciutto DiParma, sopressata, capicola, and mozzarella are foods that delight as much in the saying as in the savoring. 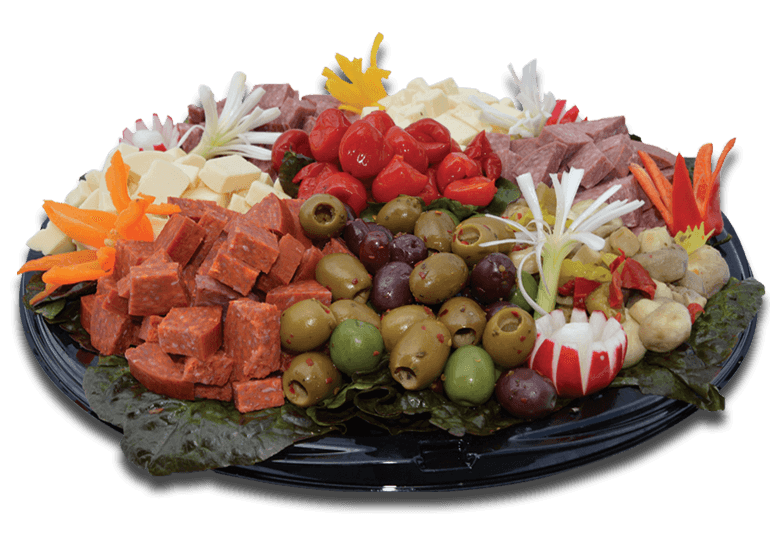 Our selection of party trays includes Italian specialties that leave your guests feeling pampered and contented. 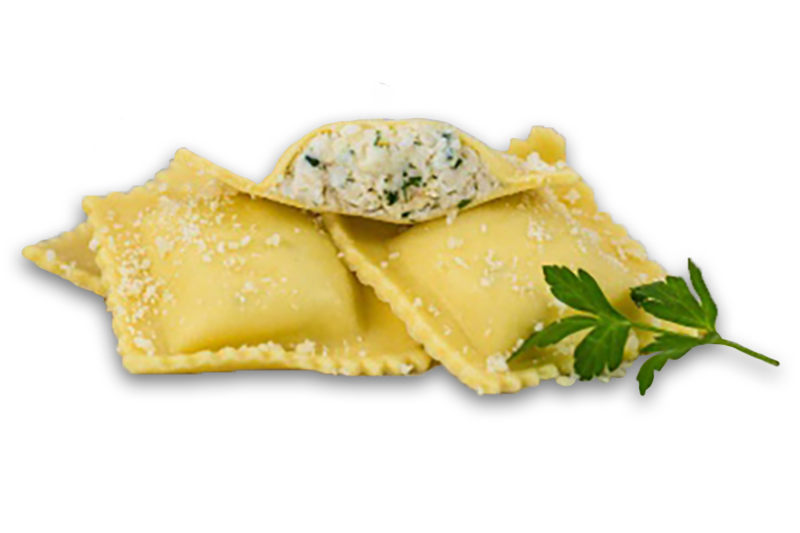 Choose from among six options, including an Italian cookie tray of which your grandmother would approve.